Fall is great season for pet owners in Canada. The air is crisp and cool for walks, the summer heat has died down, and beds of leaves exist for our pets to play in. What more could we want for our furry friends? Unfortunately, ticks love fall almost as much as we do, and can pose a major risk to our pets if we're not careful. Ticks are an opportunistic pest, and will latch on to you or your pet if you brush past them. The nerve! The last thing you want is for one of your pets to bring a tick into your home, and run the risk of an infected tick latching on to you or your loved ones. Are you worried about what tick season means for your beloved pet? If so, you'll want to check out our latest blog. Ticks are most common in woodlands and grasslands, so be careful if your dog enjoys long walks in the park (and getting caught in the rain). Try to stick to the main path whenever possible, and make sure to keep your dog on a leash if walking in a tick risk area. All it takes is one teasing squirrel to lead your dog on a wild-goose chase through the brambles. Ticks will typically attach themselves around a dog's head, ears, feet, or neck, since they prefer warm, moist areas of the body. Gross! Fortunately, ticks big enough for you to spot, so do a thorough check on your dog whenever it's spent some time in tick prone areas. When running your hands over your dog, a tick will feel like a small bump. To remove a tick, it is best to twist it off your dog, making sure not to squeeze the tick and expel any of it's blood back onto your dog. If you have a cat that likes to rough it out in the great outdoors like a modern day Thomas O'Malley, you'll need to keep a close eye out for ticks. Although Lyme disease is rare in cats, it isn't unheard of. Once a tick begins to feed on the blood of your cat, it's body becomes engorged with blood and expands. This might look like a mole or a small bump to the untrained eye, so it's important to do regular check ups on your feline friend after it's come back from an outdoor jaunt. If you're unsure of what a bump truly is, it would be wise to visit a local veterinarian as soon as possible. Similar to dogs, it's best to remove a tick as soon as you can. Speak to your vet about safely removing a tick from your pet - the last thing you want to do is leave a partial tick inside your cat or dog, as the remainder could be infectious. Reduce tick habitat around your property. Check your pets after they've been outside. 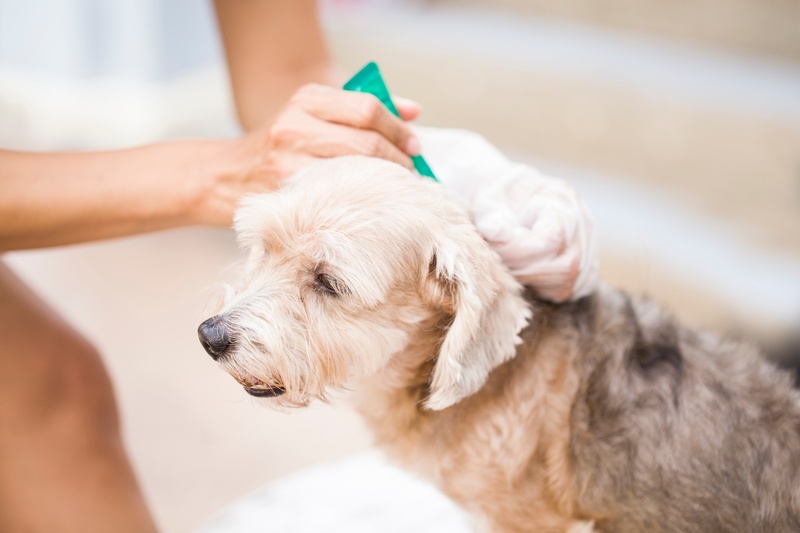 Grooming your dog or cat after their outdoor walk should become a routine, especially if you live in a tick prone area. 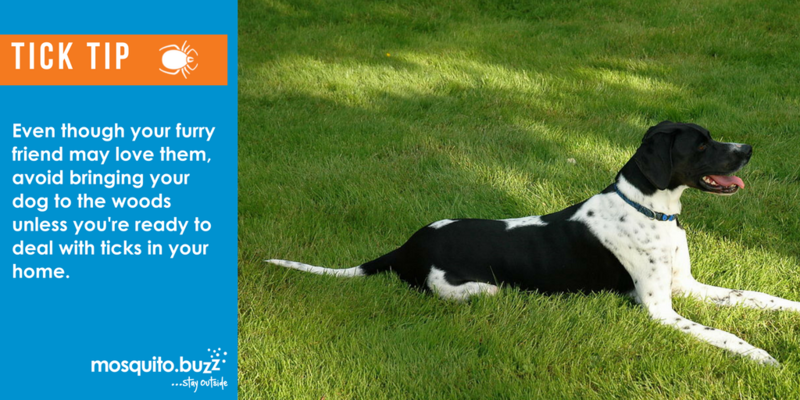 Comb your pet's fur and keep an eye out for ticks that haven't yet latched on - and get rid of them! Plus, it'll be like giving your pet a free back rub, which will keep you in their good graces for weeks to come. If a tick has attached itself to your pet, make sure you grab some tweezers and remove it as soon as possible, without squeezing the tick. Many pet stores sell handy tick removal kits to help you out. While these solutions may work temporarily, it's best to talk to your vet first, and some cats and dogs can have adverse reactions to topical treatments or tick collars. Think about vaccinating your pets. In Canada, dogs can be vaccinated against Lyme disease, however the vaccine is still quite new. 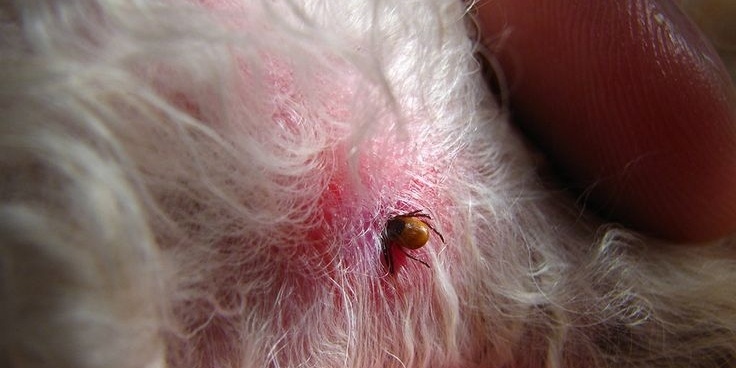 Most vets will only vaccinate dogs that live in tick-risk areas. 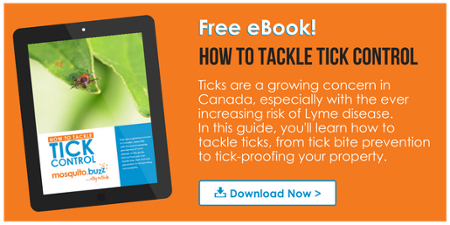 Think about professional tick control. Ticks are notorious for spreading Lyme Disease, which can affect dogs, cats, and humans. A highly effective way of preventing potentially harmful tick bites is to protect your property with professional barrier control. At mosquito.buzz, licensed and trained technicians visit your property during spring and fall when ticks are the most active, targeting areas that they live, rest, and hide, such as tall grasses and vegetation. Our control products are approved by Health Canada, so you won't need to worry about unnecessary harm to your pets. Follow us on Facebook for regular bite prevention tips and all the latest tick and mosquito news.